At the evening seder meal in a Jewish home during the holiday of modern Passover, the youngest child present will ask four questions. It’s part of the liturgy of the evening. The Hebrew translates to, “Why is this night different from all other nights? On all other nights we . . . ” The four differences have to do with eating unleavened (yeast-free) bread, eating bitter herbs, dipping food twice and reclining while we partake. Why is this night different? It’s a good question to ponder. In about 1850 BC, a nomadic herdsman and his extended family arrived in Egypt as refugees from a seven-year drought that had blighted the Middle East. The man’s name was Jacob. He was also nicknamed “Israel.” His family remained in Egypt for the next 400 years, but far from being subsumed into the Egyptian melting pot, Jacob’s descendants—the children of Israel—grew into a distinct nation of 12 tribes, the Hebrews. The Egyptians began to see this vigorous, fertile minority group as a threat and implemented a brutal forced-labour scheme. The Hebrews became slaves. The iconic story of how the Hebrews were miraculously liberated from slavery and escaped Egypt is recorded in the second book of the Bible, Exodus. “Tell the whole community of Israel that on the tenth day of this month each man is to take a lamb for his family, one for each household. . . . The animals you choose must be year-old males without defect . . . . Take care of them until the fourteenth day of the month, when all the members of the community of Israel must slaughter them at twilight. Then they are to take some of the blood and put it on the sides and tops of the door-frames of the houses where they eat the lambs. That same night they are to eat the meat roasted over the fire, along with bitter herbs and bread made without yeast. . . . Eat it in haste; it is the Lord’s Passover. “On that same night I will pass through Egypt and strike down every firstborn of both people and animals, and I will bring judgement on all the gods of Egypt. I am the Lord. The blood will be a sign for you on the houses where you are, and when I see the blood, I will pass over you. No destructive plague will touch you when I strike Egypt” (Exodus 12:3–13). Exodus records how the horrific plague on the firstborn did indeed fall on Egypt that night, prompting a devastated Pharaoh to finally allow the Hebrews to leave and begin their journey to a land of freedom. It also records that those Hebrews who followed the instructions about the lamb, the blood and the Passover meal were untouched by the plague. Why is this night different? It was a question that probably didn’t need to be asked at that time. But as Israel continued to celebrate the Passover over the millennia that followed, it was important to remember the story. That’s why God gave these instructions: “This is a day you are to commemorate; for the generations to come you shall celebrate it as a festival to the Lord—a lasting ordinance” (Exodus 12:14). By the time of Jesus, the holiday of Passover—an annual appointment with God—was merged with two other biblical appointments, namely the feast of unleavened bread and the feast of first fruits, in which the first produce from the harvest was to be presented to God. Jewish people around the world still celebrate this combined week-long holiday with family gatherings and the traditions that have developed over the centuries. The four questions, the sederwith its commensurate symbols and story, songs and meanings, dressing the father and the table in finery, all help people today to learn and remember the biblical story. We eat unleavened bread, the crisp matzo, to remember the speed with which we left Egypt—there was no time to wait for bread to rise. We remind ourselves of the bitterness of slavery with the eating of horseradish, wasabi or some other strong bitter herb. We were slaves to Pharaoh; God delivered us. Hallelujah! The matzo bread—pierced, striped and broken. We drink four cups of wine (usually merely four sips to pace ourselves through the evening) to highlight different aspects of the redemption that God bought for us. A special prayer book (Haggadah) is used on the opening night’s seder. There’s a detail in the modern Passover that’s significant to note. A three-layer bag for matzo is used, and a ceremony occurs where the middle pouch is opened and the matzo is removed and broken in half. Half is returned to the pouch while the other half is titled “afikomen” (meaning “dessert” or “that which comes after”). In a holy game of hide and seek, it is wrapped in a cloth and hidden in an unknown location. Later it is sought and found, then purchased by the father, and finally eaten by everyone. The afikomen represents the lamb that was eaten in the original Passover but is no longer part of the feast. We observe the book of Exodus in the Bible as a 3500-year-old document of reliable history and future expectations. Throughout the book, God gave His people information to point us to Him, to His Messiah and to a way to live. The Passover is a visible reminder of all that. Remember that the lamb had to meet certain specifications and pass a four-day test of suitability? Jesus too was scrutinised during His years of public ministry. The blood of the lamb had to be put on the doorposts and the lintel of the houses in Egypt; the blood of Jesus was put on the sides and the top of the Roman cross when He died for our sins. If anyone understood the bitterness of the slavery of the Jews, it was Jesus, the One who “in all their affliction was afflicted” (Isaiah 63:9, NKJV*). And history records that the first “Good Friday,” when Jesus died, was during the Passover season, on the 14th of the month, to free us from a tyrant far greater than Pharaoh—from sin and Satan himself. The usual way to free a slave is to pay a redemption fee to the slave master. But no money changed hands when the nation of Israel was liberated from Egypt. Instead, the blood of a perfect lamb on the doorframe was a substitute for the lifeblood of the firstborn within the house. The apostle Peter applied this to Jesus: “. . . it was not with perishable things such as silver or gold that you were redeemed from the empty way of life handed down to you from your ancestors, but with the precious blood of Christ, a lamb without blemish or defect” (1 Peter 1:18,19). Four cups of wine, three pieces of matzo unleavened bread. 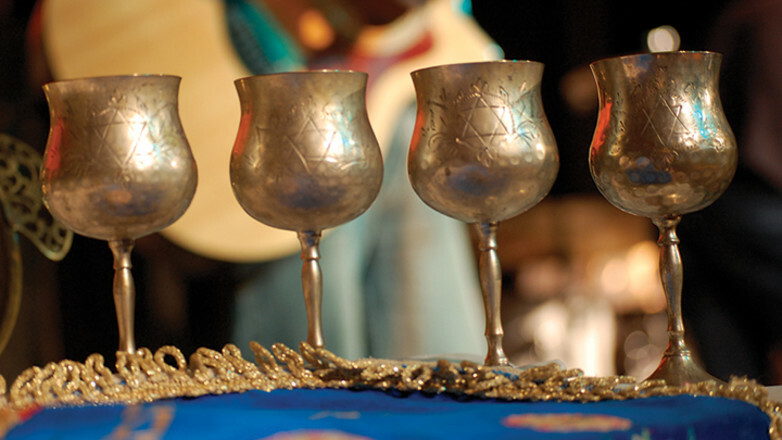 The modern Passover is rich with symbolism and invites deep reflection with the celebration. Even the matzo hide-and-seek speaks of Jesus. From the three-yet-one bag (nicknamed “The Unity”) the middle matzo is removed. In modern days, the matzo is striped and pierced in its baking (read Isaiah 53:5 and Zechariah 12:10, and you’ll see why this is significant). Then the middle one is broken, the afikomen wrapped and hidden, then brought back and shared as the final foods are eaten at the seder. We eat the afikomen along with the third cup of wine. That’s the cup nicknamed “The Cup of Redemption;” the highlight of the entire seder. Jesus, the “middle” of the Triune God, took our punishment on Himself, was wrapped in grave clothes and hidden in the tomb. And, like the afikomen, which is rediscovered amid celebration, Jesus rose again. Today, Christians around the world re-enact this dinner—some refer to it as Communion, the Last Supper or the Eucharist. Founded on the Passover, it’s a reminder of this great Passion event of Jesus’ death and resurrection; the crucial moment of liberation. 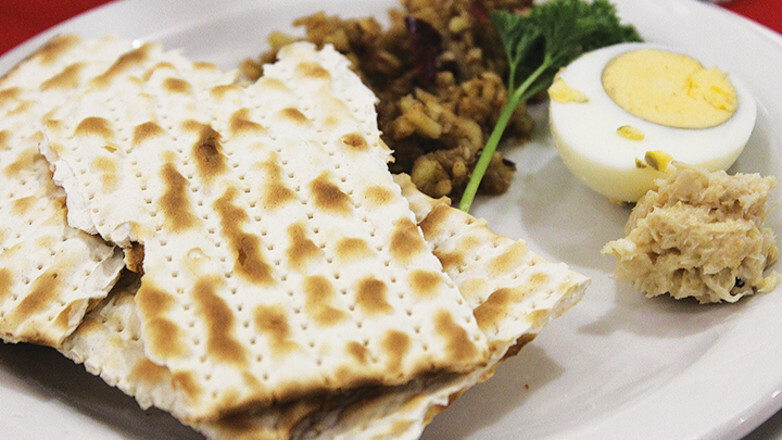 The matzo and the cup of wine are there, celebrating the redemption made possible through the long-awaited Messiah. Why is this night different? Passover is the season of our redemption. It’s about a Lamb, about blood, breaking with the leaven of sin in Egypt and in our lives, the true identity of the Hidden and Resurrected One who belongs to the Three-yet-One, and about celebrating God, whose story of liberating power still needs to be proclaimed again and again. It’s about Jesus. As the apostle Paul reminded the early Christians: “For whenever you eat this bread and drink this cup, you proclaim the Lord’s death until he comes” (1 Corinthians 11:26). * Bible texts marked NKJV are taken from the New King James Version®. Copyright © 1982 by Thomas Nelson. Used with permission. All rights reserved. Bob Mendelsohn is the international director of Jews for Jesus, AustralAsia. Raised an Orthodox Jew, Bob came to faith in Jesus in 1971. Find out more at JewsforJesus.org.au.